5 Mistakes Event Marketing Managers Must Avoid At All Costs! According to recent studies by Bizzabo, about 80% marketers believe that events are critical to their company’s success. Events have proven to be one of the most important channels for not just lead and revenue generation but also improved brand awareness and customer engagement for most modern businesses. 80% of businesses that are over performing in regards to their company goals will increase their live event budgets next year. (Bizzabo, 2017). Thus, smart marketers are laboriously planning and implementing strategies to incorporate events in their ongoing or future marketing strategy. Modern marketers are utilising a variety offline and online event marketing techniques to maximise event registrations. And, why not? Having a sold-out event as soon as registrations open is every marketer’s dream! 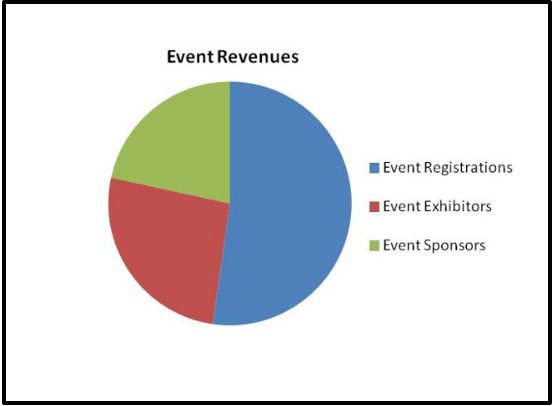 Physical events- comprising of trade shows, conferences, high-tea etc. Whether its an online event or a large-scale mega physical event, event marketers need to put in endless hours and efforts to ensure its success. However, with strained timelines and the excitement of planning the event, many times marketers commit some event planning mistakes which lead to a double whammy! Inadequate planning- Plan, plan and plan! That’s what every event marketer must do for any upcoming event. Set SMART goals and appropriate expectations from the event. Train your team members according to the event objectives and use your budget, time and people wisely to maximise event marketing to drive ticket sales. Events require a considerable time, efforts and investment so ensure to plan all aspects of the event well in advance. This will enable you to maximise the impact and engagement for your event. One- man Army- A smart event marketer knows that she/he cannot plan and manage the entire event alone. One needs to juggle between multiple tasks involved in planning, strategising, executing and hosting the event. Volunteering to do all the tasks by yourself will prove disastrous for your next event. Delegate tasks as per expertise so you can maximise your event registrations and ensure a sold-out event. Missed Deadlines- This proves to be a very costly mistake for all event planners and marketers. Not only does it affect the budgets for your event but also tarnishes your brand reputation greatly. Ensure to maintain a calendar of your event planning timeline and stick to your deadlines. Plan well in advance to avoid any last minute haste and shabby outcomes. Failing To Align The Business Objective With The Event- You can host the grandest event ever but if it’s not aligned to your business objectives, it is of zero value to you and your business. Every event hosted must be aligned to your business goals in terms of improving brand awareness or visibility, CSR, lead and revenue generation, product launch etc. If it doesn't add value to your business, you should not host the event, simple (unless you have a million dollars extra)! Adopting Cookie Cutter Approach In Content- Is your content only talking about how exciting your event is and how great a company you are? STOP right now! Talk about the USP of the event and valuable takeaways for your attendees, freebies and fun part will be an added value! Avoid using a cookie cutter approach for your content when you’re sending event invites , making announcements or for your landing pages and social media posts. Ensure to customise the content using a marketing automation tool to ensure automated yet tailor-made content for your target audience. Read our blog How To create content for maximising event registrations to know more. Inefficient Budget Allocation- Got your event budget approved, but unsure of what to do? Avoid splurging all your dollars and also under-spending them when planning your next event. Plan each aspect of your event judiciously so that the marketing and promotional bit for the event is taken care of well and you are able to drive the ticket sales. On a shoestring budget? Don't fret, because you can always hire an event marketer within a specified budget who will guide you with all aspects of your event marketing plan and execution. Not Measuring Event ROI- So, you’re done with your most awaited event. Well done for that! Did you follow up with a thank note to all your event attendees? Did you measure footfalls/attendance and compare it with the event registrations? If you answered No to the earlier two questions, you’re doing it wrong! Always ensure to measure your event ROI in terms of footfalls, attendance and engagement and see if your online marketing impressions- clicks, views, downloads etc. You can then analyse if the investment in online and offline marketing bore fruits and accordingly tweak your event marketing strategy for the next event. 95% of marketers agree that live events provide attendees with a valuable opportunity to form in-person connections in an increasingly digital world. 74% of event attendees say that they have a more positive opinion about the company, brand, product or service being promoted after the event. For a small and mid sized business marketer, planning and executing the entire event marketing strategy maybe a bit overwhelming. You may not have the required number of resources or technical expertise needed for online event marketing tactics to boost event registrations and ensure success of an upcoming event, thus ending up with faulty event planning. Want to know how to maximize event registrations? Talk to an event marketing specialist at Prodigitas. Prodigitas enables event managers to efficiently launch, manage and measure their digital marketing engagements to ensure sold-out events! Effective Ecommerce SEO Audit Tips Proven to Boost Sales! How Voice Search Will Impact Your Self Storage Business?